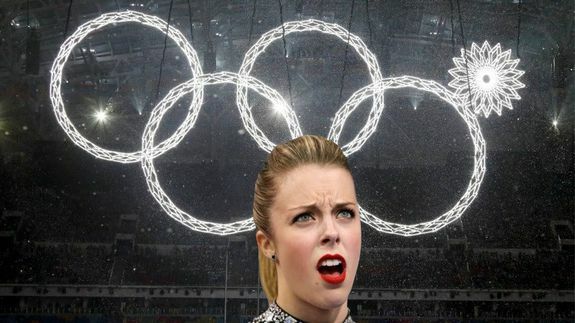 Ashley Wagner's Angry Face Inspires Olympics Meme - trendistic.com: ever tried. ever failed. no matter. try again. fail again. fail better. Team USA figure skater Wagner came to Sochi to prove herself after a shaky performance at the U.S. Nationals and a controversial decision to send the 22-year-old to the Olympics over a higher scoring competitor. Wagner made her Olympics debut Saturday during the team event, skating a clean program and breaking into a smile as she awaited her scores.